I added some bling to him from my stash. This little guy is from Miss Kate Cuttables. 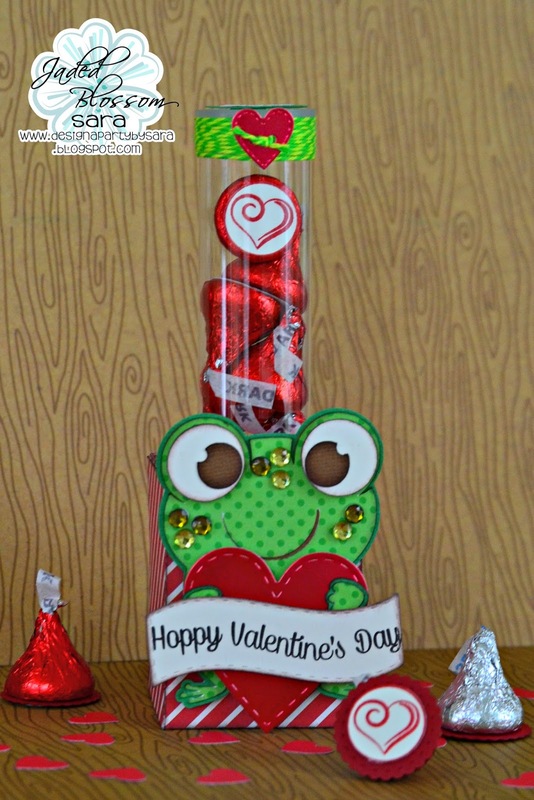 Instead of using the heart that came with him I used the heart from the Valentine Dies from JB and the candy tube holder is from SVG cutting Files. I used the tube box that was from the Knight Prince and Princess Candy Tube Holder. Thanks for taking a look at my project today! Oh how cute!! 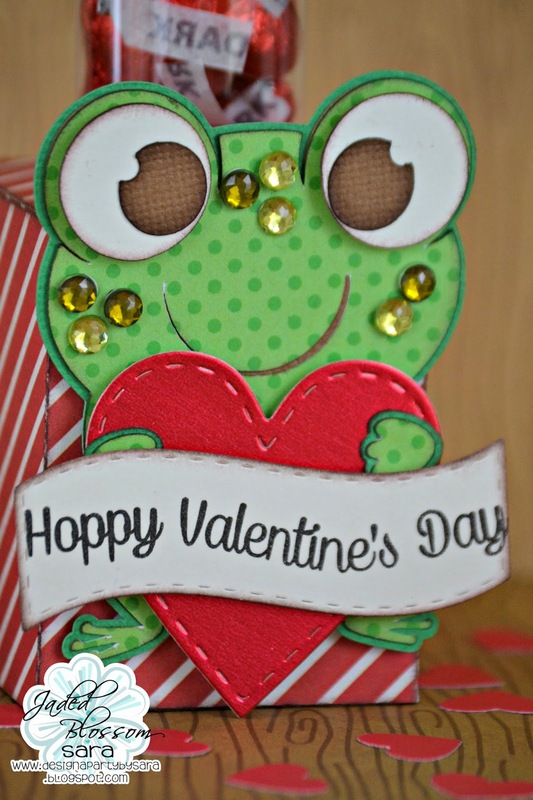 Love this frog! !